Photoshopped the below multiple generation xerox that was with the article. There’s no making it perfect. I was happy to get as much as I did out of it. One begins to get a little character. A. 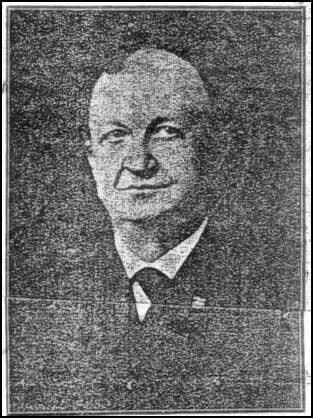 B. CARHART, for seventeen years a prominent business man of Manchester, passed away at his home in this city on Thursday night, shortly before midnight, following an illness of a week. For nearly a year those most closely associated with Mr. CARHART have noticed a decline in his physical strength, but notwithstanding this decline he was always found at his post of duty until just a week before his death. Although his friends in Manchester had known of his critical illness few days previous to the final summons, not even those who watched constantly at his bedside realized that the sickness through which he was then passing would bring the summons. Impressive funeral services were held at the Congregational church Sunday afternoon at 2:30, Rev. J. F. MOORE preaching the sermon, paying a beautiful tribute to the memory of Mr. CARHART. Members of the Masonic lodge attended in large numbers, and because of the severity of the weather, the Masonic burial service was read in the church. The services were attended by a large number of sorrowing friends and lodge members. Following the services the remains were placed in the receiving vault in Oakland cemetery, interment to be made at a later date. Mr. CARHART was born at Eden, Delaware County, Ohio, March 11, 1854, and spent his boyhood days in the native county in that state. When a boy in his teens his parents removed from the state of Ohio, and went to Macon, Missouri, where he grew to young manhood. After finishing his schooling he taught school for a short time in the western part of Iowa. In the spring of 1878 he came to Manchester, and found employment in the grocery store conducted by A. B. TERRIL. On May 16, 1878, Mr. CARHART was united in marriage with Miss Lizzie L. LANDIS of Philadelphia, their marriage taking place in Chicago. The day following their marriage, Mr. and Mrs. CARHART came to Manchester, where they have lived happily together for over thirty-six years. After several months of faithful service in Mr. TERRILL’s grocery store, Mr. CARHART changed from the work of the grocery clerk to that of work in the hardware store of ADAMS Brothers. For nearly two years, Mr. CARHART was in the employ of this pioneer hardware firm. 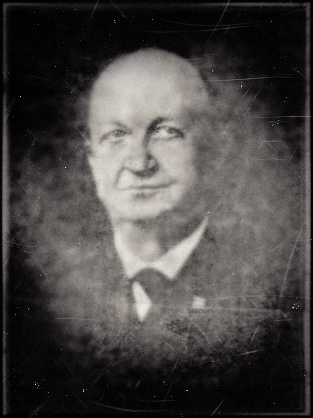 Before going into business in Manchester Mr. CARHART held responsible positions as a traveling salesman for hardware concerns of Chicago and Dubuque, following this occupation for nearly sixteen years. When the necessity of a rest from close attention to business cares compelled Mr. CARHART to make a change, the sale of the large stock was affected. During all of the years that Mr. CARHART was associated with the business interests of Manchester, he formed the most intimate friendships among his business associates. By adherence to such rules of life as make for the square deal in all of his transactions he at once won the confidence of those who came in contact with him. Although his time was occupied with the cares and responsibilities of a large business, he always found time to have a friendly word with those who had learned to love him. Not only did he stand for the square deal in the business life of this community, but his influence for good was felt even more strongly in the church and lodge. For years, he had been intimately associated with the work of the Congregational church, being a member of the board of deacons at the time of his death. He was faithful in the performances of his church obligations. His faith in his Maker was deep seated and his earnest Christian life proved an inspiration to his pastor, with whom he had entered into a most intimate friendship, and fellow church members. In the death of this beloved citizen the Masonic order suffers the loss of a faithful member. During the many years that he was affiliated with this order he held many positions of honor and trust and was faithful to all of the high principles for which the Masonic order stands. He was a member of Manchester Lodge No. 145 (165? ), A. F. & A. M; Olive Branch chapter No. 48; Knights Templar, and Elam Council No. 33, and also of El Kahir Temple Nobles of the Mystic Shrine. Mr. CARHART leaves to mourn his death his devoted wife and one daughter, Miss Nina CARHART, and one son, Bert CARHART of St. Louis. Besides the wife and two children he leaves his aged and invalid mother, Mrs. Margaret CARHART, and four sisters, Mrs. Lena MITCHELL, Miss Ida CARHART, Miss Edith CARHART, all of Macon, Missouri, and Mrs. Leroy PERRINA of Chillicotha, Missouri. The sudden death … has blasted cherished plans. Often had he remarked to his most intimate friends that he longed for the time when he would be able to lay aside the busy cares of life and be able to enjoy in a larger measure the companionship of his family. At this time of great sorrow, Manchester friends extend to the bereaved ones, sincere sympathy.